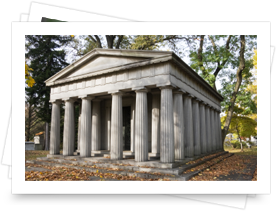 Mausoleums provide space for above-ground entombment of physical remains within a beautiful structure on cemetery grounds. A family might choose to use their own private structure, or may opt to share space in a community mausoleum. 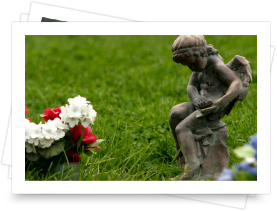 There are a variety of ways to care for your loved one's cremated remains, whether you decide to keep them within your home, spread them in a cherished location, or inter them in a garden, statue, or other memorial property. 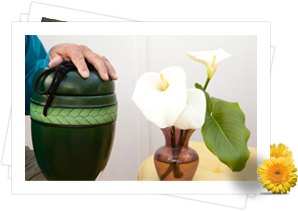 We have a wide selection of elegant and beautiful urns you can choose from.